PA officials claim Hamas and Israel discussing return of two Israeli citizens captive in Gaza, say that Avraham Mengistu is healthy. Hamas and Israel have returned to the negotiating table over the return of two Israeli civilians being held captive in Gaza, senior Palestinian officials told Walla! News on Wednesday. 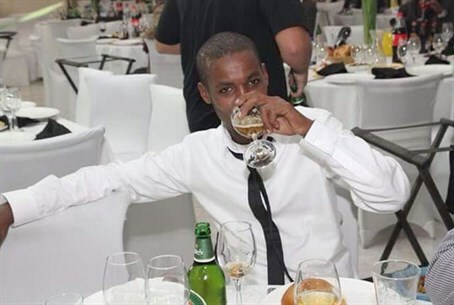 According to the sources, Ethiopian-Israeli Avraham Mengistu is healthy and in Hamas custody, and that a similar message was relayed by Hamas to Israel. No word was given on an unnamed Bedouin also believed to be in Gaza. Mengistu, who has a history of mental illness, entered Gaza in September, it was only cleared for publication last week. Although there was intelligence he had been arrested by Hamas, the terror group claimed he had been set loose into the civilian Gaza population. While Hamas gave no comment on negotiations for the two Israeli hostages, it continues to express interest in long-term ceasefire deal with the Jewish state. Various international mediators, including former Middle East Quartet envoy Tony Blair, are leading the efforts. Blair, it was reported by Palestinian and Israeli media, has met with Hamas political chief Khaled Mashal in Doha, Qatar at least two or three times in recent weeks. Among the issues Mashal and Blair discussed were returning the bodies of two IDF soldiers - Hadar Goldin and Oron Shaul - killed during Operation Protective Edge last summer, lifting the blockade on Gaza and the establishment of an airport and seaport. One report stated Wednesday that developments in talks were expected, although Israel maintains it is impossible to reach an agreement of this kind with Hamas. Defense Minister Moshe Ya'alon, meanwhile, stated unequivocally on Sunday that Israel will not be freeing convicted terrorists in return for the two Israelis currently being held in Gaza.